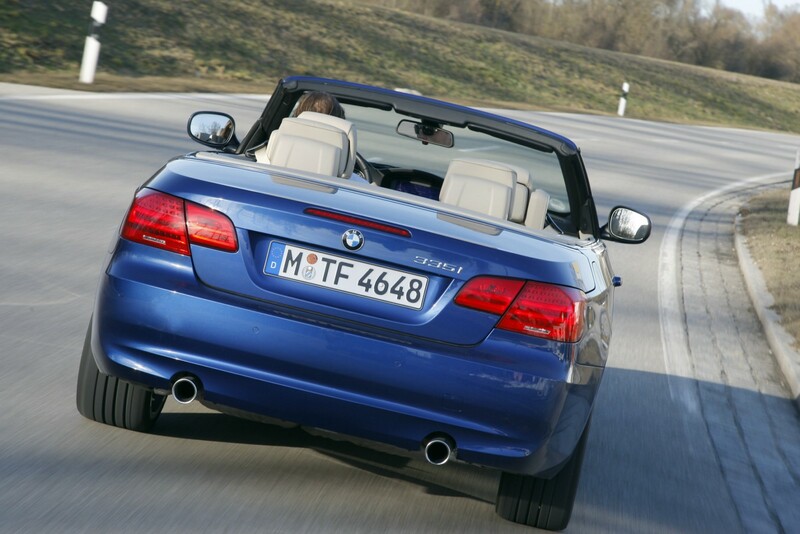 For model year 2010, the 3 Series Convertible goes through some extensive changes, reflected in the exterior design, but especially, under the hood. Starting with the most visible changes, the front lower fascia is now presented with subtle winglets on the air-dam, but more than that, the actual area for air flow is slightly larger than the outgoing design, also allowing for larger splitters at each end of the fascia. One more styling difference from the previous design iteration; the corona rings are now bright LED units, with the updated E90 3-Series headlights making a convertible and coupe appearance. At the rear end, there are some important changes as well. First, the taillights are also receiving the LED look and finish. Though they were LED lights before, BMW added their new ‘L’ shaped design theme to an all new, almost E46 LED taillight, underneath the L shapes. Holding the exhaust ports is an all-new bumper with a horizontal expressive line that shows the wide back end. 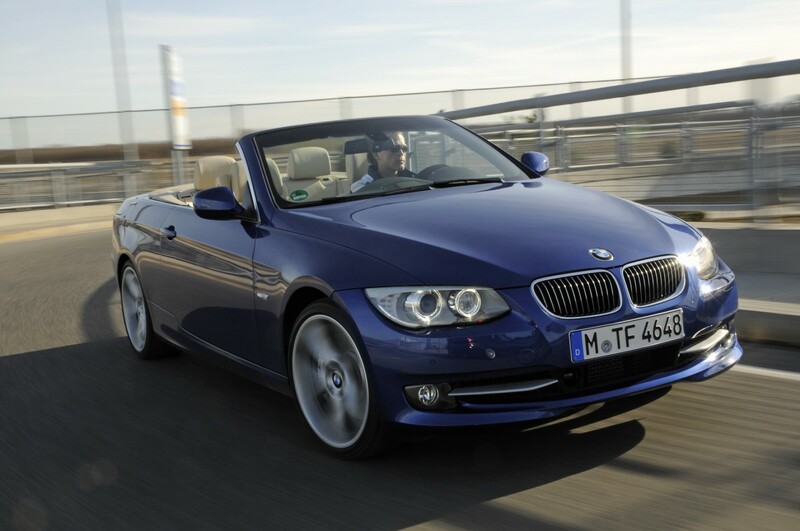 The 3 Series Convertible and Coupe facelifts receive the N55 inline-6 engine that first appeared on the new 5-Series GT. The powerplant features a single turbo with twin-scroll technology, direct-fuel injection and Valvetronic variable intake technology. The engine continues to produce 300 horsepower and 300lb-ft of torque with a 7,000 rpm redline. 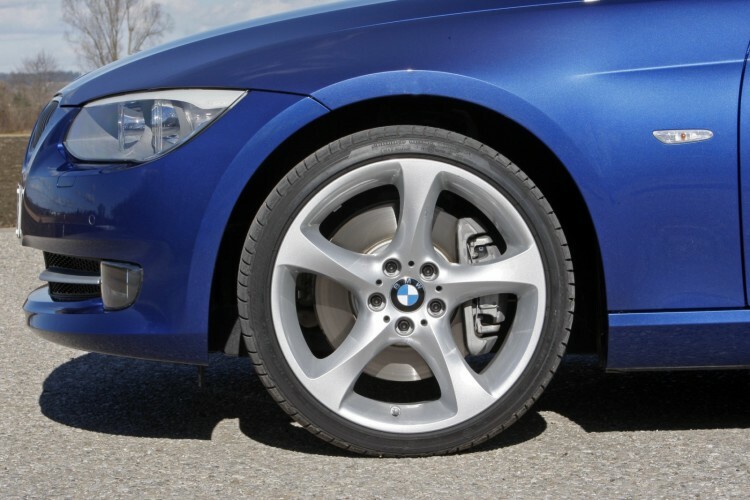 However, the engine now builds peak torque at 1,200 rpm all the way to 5,000 rpm, where the N54 builds peak torque at 1,400 rpm. Peak horsepower is still produced at 5,800 rpm. So not much has really changed, just BMW making more torque available from startup, which is great. Also expect a slight increase in gas mileage due in part to valvetronic. The 2011 BMW 3 Series models are already available at the U.S. dealerships.